STOP Telling Your Sales People to CLOSE! “Great sales people close…” Not true! In this episode of the Sales Management Minute, you will learn that this age-old expression misses the mark and how top sellers really achieve success. This sales team speech is delivered every hour on the hour to sales people around the globe. Yet, there is an oxymoron built into it. How can you talk about solving problems and building relationships when your perspective is closing? I assure you that I didn’t wake up this morning and say, “Gee, I hope someone closes me today.” Neither did you! As a matter of fact, when people feel like sales people are attempting to close them, they shutdown. Sales leaders are often guilty of sales management double-talk … Build relationships and make them buy! Buyers hate to be closed. Don’t talk to prospects about win-win when your approach is really win-lose. Top sales people never close deals! They facilitate discussions with prospects leading to the development of solutions. These top sellers help prospects recognize the ramifications of not tackling that solution right now. It’s all about synergy and priority…the two most powerful words in sales. Synergy is the connection between prospect needs and supplier capabilities. Priority answers why tackle this problem right now. Keep this in mind the next time you tell your sales people to close deals. See you next time on the Sales Management Minute. Lee B. Salz is a leading sales management strategist specializing in helping companies build scalable, high-performance sales organizations through hiring the right salespeople, effectively onboarding them, and aligning their sales activities with business objectives through process, metrics and compensation. He is the Founder and CEO of Sales Architects, Business Expert Webinars and The Revenue Accelerator. 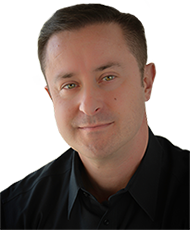 Lee has authored several books including award-winning, best-seller “Hire Right, Higher Profits.” He is a results-driven sales management consultant and a passionate, dynamic speaker . Lee can be reached at lsalz@SalesArchitects.net or 763.416.4321.